I’ll let you in on a secret. I hate to read aloud. Always have, probably always will. But the benefits of reading aloud to young children are so enormous and life-changing (PDF) that I do it anyway, day in and day out. Naturally, reading aloud is most enjoyable for me when it’s a book that I like myself. 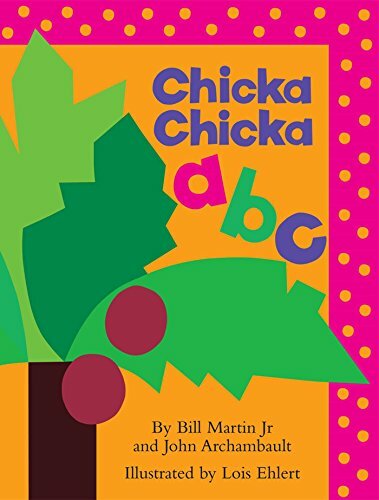 Read aloud books that are most fun for me have lots of scope for expression – elements such as silly voices, animal noises, dialogue, rhyming text, etc. Good illustrations are also a must – I especially like detailed illustrations with lots of stuff going on in the background that offers lots of opportunities to build and reinforce vocabulary. These types of elements make it less monotonous to read the same book 1,000 times, which inevitably happens when a toddler starts picking favorites. We have a number of Melissa & Doug play food sets, as my kids love them and play with them frequently. This is the one they play with least. 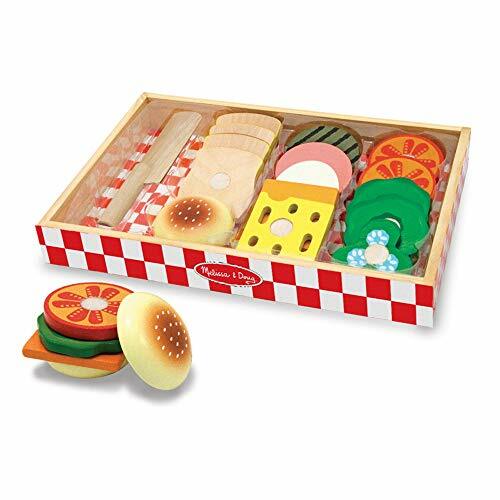 My daughter likes the hamburger fixings, but seems less interested in everything else, and my son mostly ignores it entirely in favor of his Melissa & Doug Cutting Food Set. It is sturdy and well made, but spends most of its time on the shelf. Melissa & Doug Ice Cream Sets – Help Us Choose! I’ve been starting to thing about Christmas presents for my kids and am trying to choose between two Melissa & Doug ice cream sets. 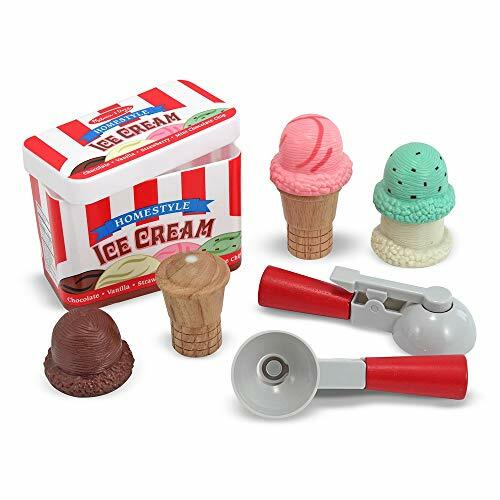 My kids both love play food and they had a ball with the Melissa & Doug Ice Cream Scoop Set (right) when they got to play with it at a relative’s house. 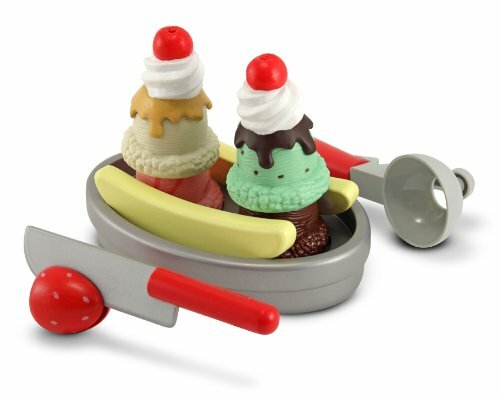 I was planning to get that set for them when I noticed a similar one, the Melissa & Doug Slice and Scoop Sundae Set (below left), and now I’m wondering if the Sundae Set might be even better. I like that the Ice Cream Scoop Set has two scoops, two cones, and four flavors of ice cream, making my two children (hopefully) able to play with it together without fighting too much about who does what, whereas the Sundae Set has only one scoop and one bowl, so one child has to serve and the other to eat. On the other hand, if they do squabble while playing with the Ice Cream Scoop Set, the 2 year old might clonk the 7 year old with the wooden cones, which were pretty heavy and solid and might be more painful than the bowl from the Sundae Set. I also like that the Ice Cream Scoop Set comes with an ice cream carton to store everything in. On the other hand, I love that the Sundae Set has a banana and strawberry that you can cut up. (The two year old in particular absolutely loves their Melissa & Doug Cutting Food Set.) The Sundae Set also has sundae toppings, which I think they’ll both like as well. Decisions, decisions… Which set do you think I should choose? Any time I get out the screwdriver to work on something, my two and a half year old son is sure to be close behind, begging to have a turn. Sometimes he’ll even open the closet and ask me to get it down for him. Since a real screwdriver isn’t a safe toy for a toddler to play with unsupervised, I decided to get him a little toy toolbox of his own so he could play with screwdrivers whenever he wanted. This proved somewhat easier said than done. Most of the initial toy tool sets I researched were plastic and didn’t sound well made. 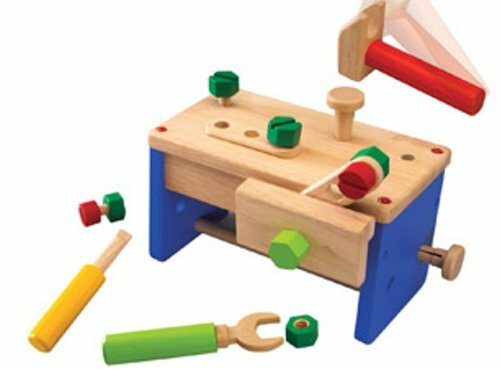 Then I looked into the Melissa & Doug Take-Along Tool Kit Wooden Toy, Pretend Play, Sturdy Wooden Construction, Promotes Multiple Development Skills, 9.9" H x 5.5" W x 4.8" L, which seemed much closer to what I had in mind. Melissa & Doug are generally reliable purveyors of high quality toys, and the price was very attractive. However, I was put off the set by the reviews complaining that there were no threaded holes for the screws. What’s the point of a toy screwdriver if it can’t screw anything in? So I went looking for better options. Finally, I found it with the Work Bench ‘N Box set by Wonderworld. The Work Bench ‘N Box has a hammer, wrench, and screwdriver, nails, screws with washers, and more, as well as a sturdy tool box to carry the set in that also doubles as the work bench. The bench includes a variety of holes on the top and sides, including both threaded and non-threaded. Everything is made of eco-friendly sustainable rubber wood except the two nails and the head of the wrench, which are plastic. The toy was an instant hit with my son, who immediately started banging away with the hammer. He had a little more trouble with the wrench and screwdriver, but the toy should be excellent to help him develop his fine motor skills. It has held up well to the banging so far and seems like a very sturdy and well made toy. My only complaint is that the nails are a bit difficult to remove, so I will have to do that for him, but otherwise I am very pleased with the purchase so far, and so is he! Note: Wonderworld makes a similar toy toolbox called the Wonderworld Little Tool Box Set Best Learning Toys Improved Skills Kids Toy that also appears to be an excellent choice and which has a saw with a velcro block that children can “saw” apart in addition to the hammer, screwdriver, and wrench. Although I’m pretty sure my son would love the saw, I thought the other tools in the set looked more juvenile than the tools that came with the Work Bench ‘N Box and I wanted something that my son would get several more years of enjoyment out of, plus there were fewer holes for the nails and screws, so I decided to go with the Work Bench ‘N Box. 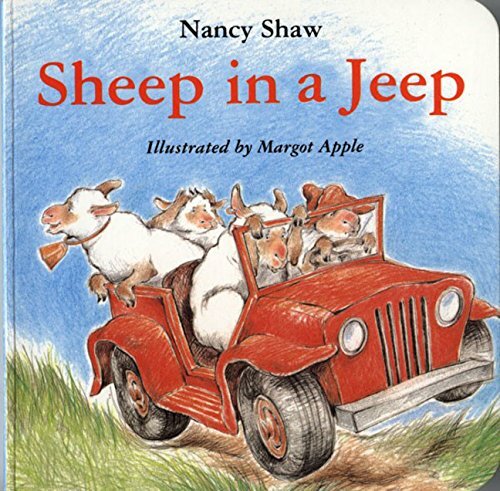 This short board book was one of my daughter’s favorite read-aloud books as a young toddler. 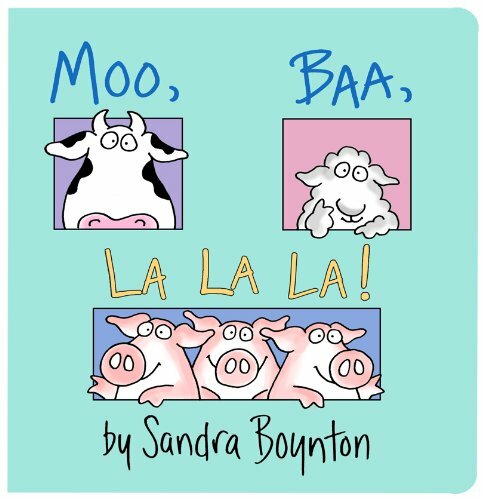 The funny, rhyming text and cute illustrations are a fun way to help teach simple animal noises, and toddlers absolutely LOVE the opportunity to “correct” the silly singing pigs. Look who’s coming! L M N O P! And Q R S! And T U V! Whoop de doo. Four exclamation points in a row doesn’t make a boring list of letters any more exciting. If I wanted that, I’d just go with the alphabet song. It stops shortly thereafter with the letters all falling to the ground, leaving off the second half of the original book. I recommend getting the full version instead, as it contains more rhyming in the second half. 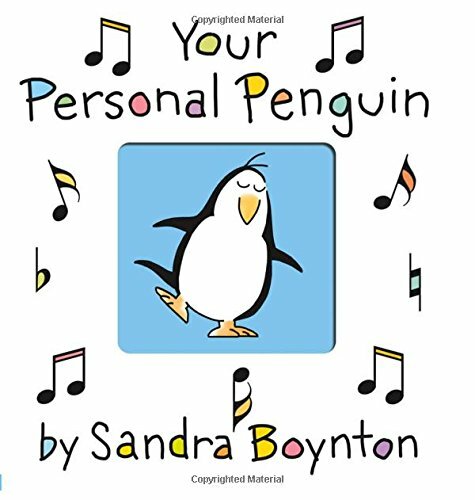 A cute sing-along book about a penguin who wants to be best friends with a somewhat befuddled-looking hippo. The song, performed by Davy Jones, is available as a free download. This app gets great reviews, so I decided to give it a shot after noticing it on sale one day. It is now my two year old son’s favorite app. I was amazed by how quickly he got the hang of matching the letters, and he laughs and laughs over the funny scenes designed to illustrate each word’s definition. After a couple months of playing this game several times a week, he has started to point out a few of the letters to me (O is his most consistent so far) in other contexts, such as when we’re reading bedtime stories together and I’m inclined to credit this app, as we haven’t yet begun to put a lot of emphasis on teaching him his letters while reading. My 7 year old also enjoys the scenes, although the letter matching and most (possibly all) of the words are too easy for her. 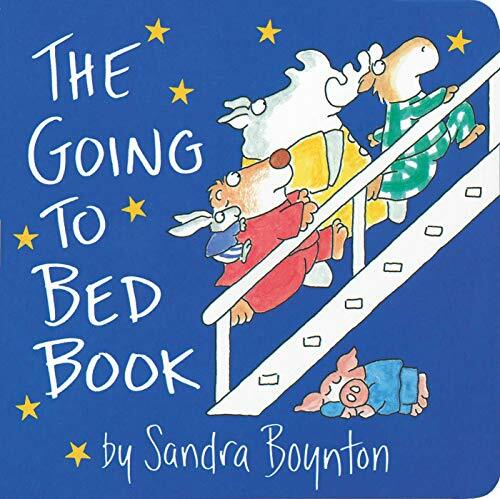 A favorite read-aloud book of both my kids thanks to its funny, rhyming text and cute illustrations.